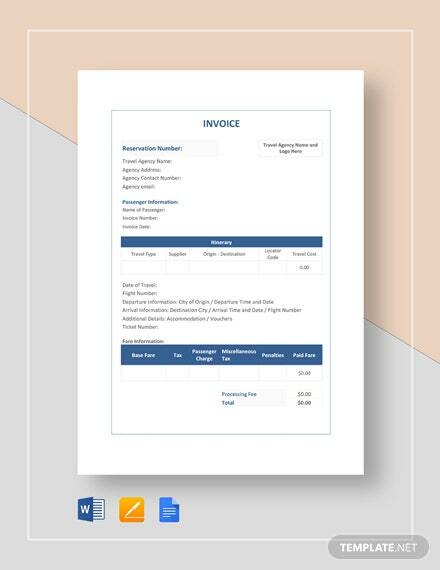 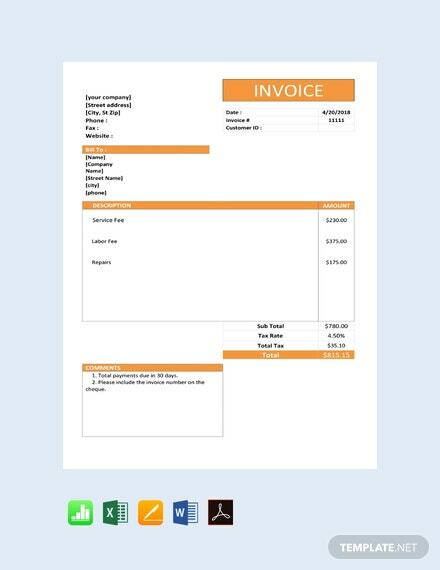 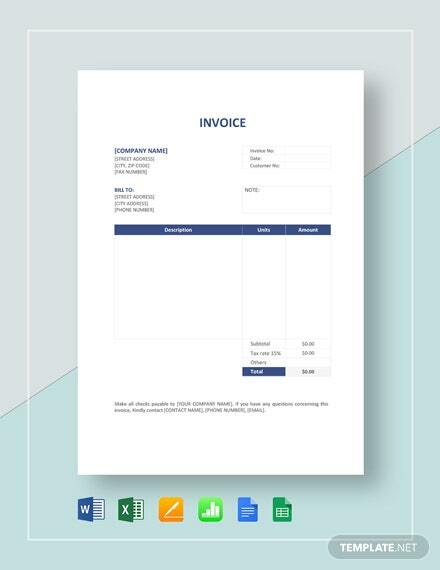 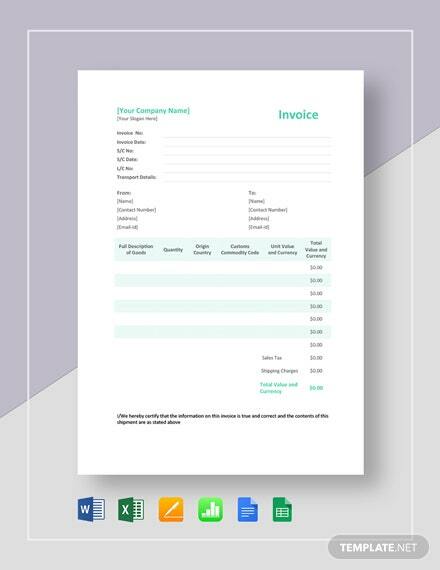 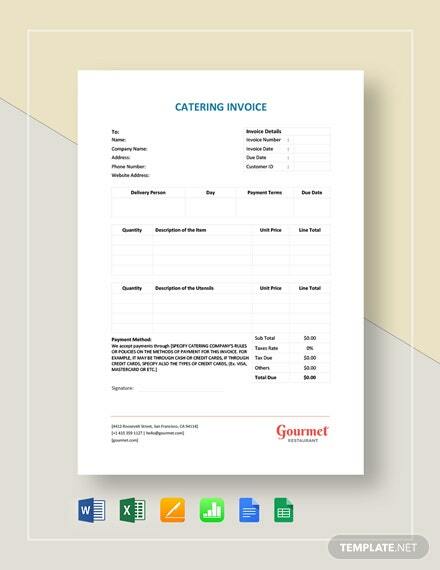 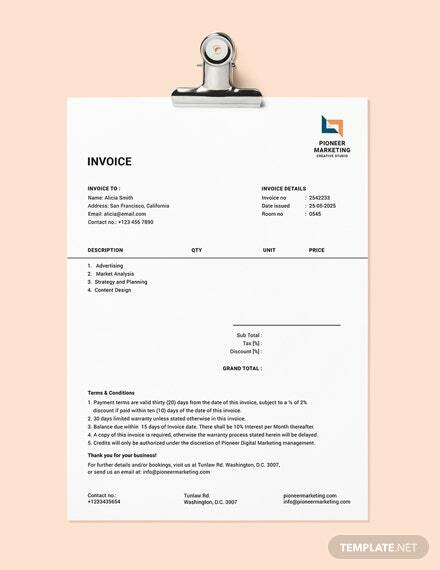 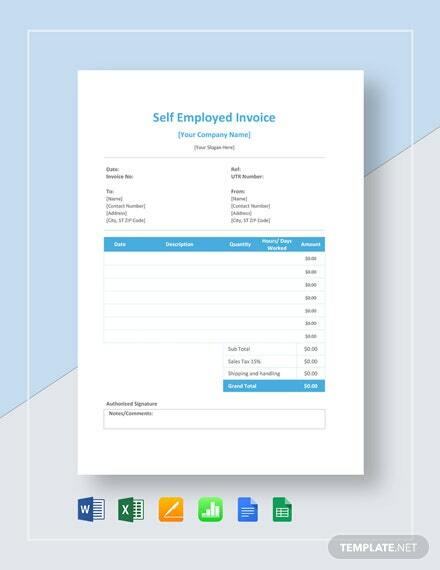 A simple service invoice template you can download for your business. 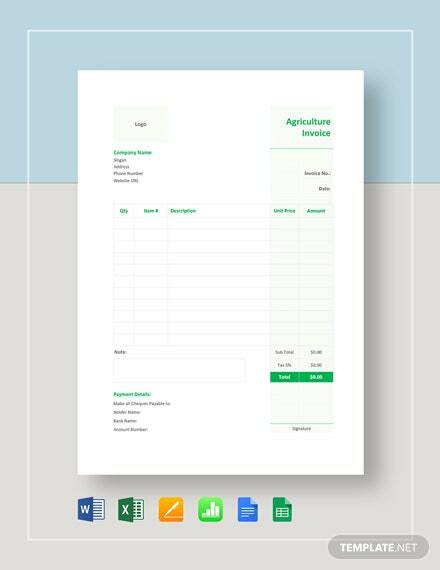 This is perfect to create a document used as a customs declaration. 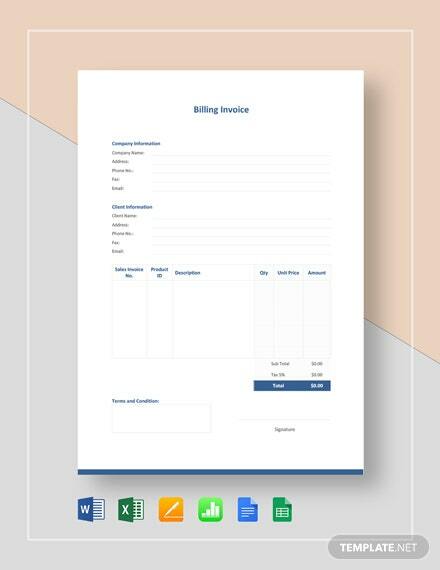 Easy to edit and fully customizable in multiple formats.